Hunters Paradise and More. 34.6 acres of "livin' the dream" property. Woods for hunting along with two permanent deer blinds. Farming, pastures, livestock, horses, chickens, bees, grapes, gardens, heated shop and storage. Get away from traffic, noise and lights, yet do not give up on a convenient location with a great school district. 10 minutes to 94. Three minutes to 69. 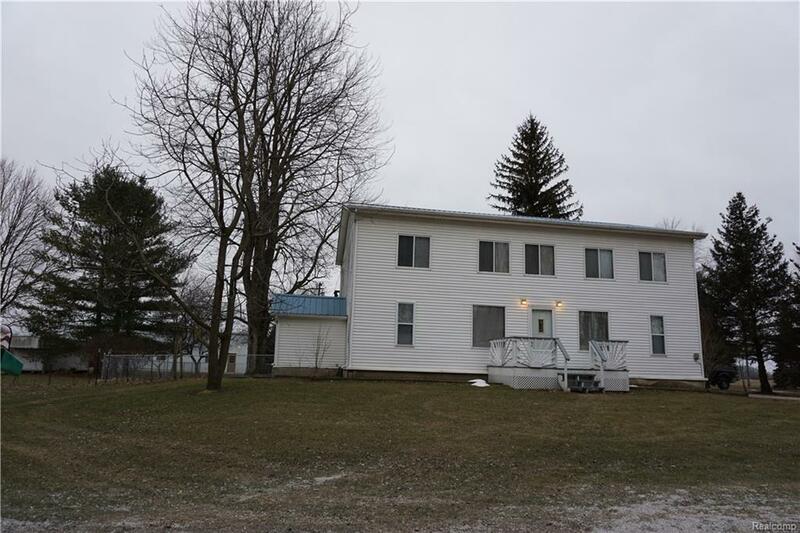 Clean and spacious home with a large gathering room on the main floor as well as upstairs. Main floor utility room. Bright kitchen. Whole house generator. New furnace in main house in 2018. Two heat systems. Propane forced air, $500 / year, and exterior wood stove, servicing the main home and the 770 sq. foot guest house /office / "man cave". 64x40 pole barn with 6'concrete, loft & heated shop. 50x35 barn with hay loft. 22x18 garage, 16x10 shed & 18x10 storage shed. All main buildings have 220v. Steel roof on home is 2 yrs old. Spend less time in traffic. Give your family the good life, fresh air and healthy living.